Vesta Networks' web and conference calling service helps the non-profit Fundy Fisherman's Association communicate clearly and efficiently and cost-effectively with its member fishermen. The Fundy North Fishermen’s Association is a non-profit organization representing small-scale commercial fishermen in Southwestern New Brunswick. For over 25 years, Fundy North has had a strong community ethic and has worked tirelessly to preserve the fishing livelihood for future generations. Our mandate is to support fishermen, promote healthy fisheries, and encourage viable fishing communities in in their area. Organizing conference calls with our fishermen presents a unique set of challenges. Because the fishermen often do not have 9-5 jobs, many of their calls are during the evening or on weekends, when support services were unavailable for most other web and teleconferencing companies. Many of the fishermen also have to call in via their cell phones while out fishing, often from areas with poor reception, and taking into consideration the noise from their boats. And finally, as a non-profit, we needed a conferencing solution that provided great service at a price that was affordable. Vesta support staff are available whenever the need may arise, meaning that no matter when the conference call takes place, they're available to help our team if we need them. The clarity and ease of use of the web and telephone conference call systems make it easy for our fishermen to get in touch with their association, no matter how far they roam. And, after extensive research, we found that Vesta Networks offered by far the most comprehensive service for the best price. The people we dealt with at Vesta while setting up our account were absolutely phenomenal, and the service we receive is second to none. Vesta support staff are available whenever the need may arise, and the clarity and ease of use of their conference calling systems (even when our fishermen are out in the middle of nowhere on their cellphones!) is fantastic. As a non-profit, cost is a crucial factor as well. We did our research extensively, and Vesta definitely provided the most service for the least cost. Amazing service! We highly recommend! Vesta has made conferencing a worry free experience for all of our staff. And of course, the whole system is efficient and uncomplicated. Find out how Vesta Networks connects Bayshore Healthcare's complex branch network of over 60 offices, 45 clinics and 13 specialty pharmacies. Privately-owned builder Mattamy Homes needed a practical solution for communications between divisions across North America. 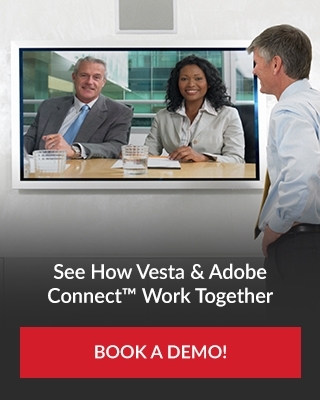 See how Vesta Networks got them talking. We make it easy to start your first teleconferencing meeting... no strings attached. Reliable networks. Real people. No risk. With Vesta Networks you get everything you need for successful teleconferencing and web conferencing for your business in Canada or the US.